Another old OAaF fan art. 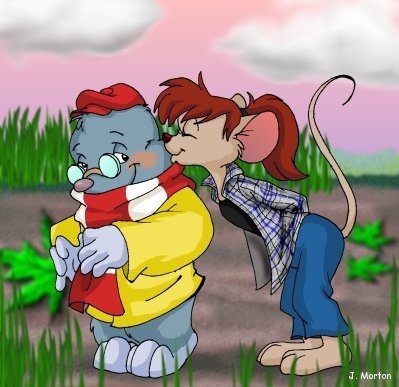 Here’s Edgar the mole, getting a kiss from a random mouse girl. Actually, she was based on an old character I created about the time the movie came out. She wasn’t really related to the movie in any way, just thought it would be fun to draw her.